For the seventh issue of A New Type of Imprint we had a chat with the eminent industrial designer Falke Svatun Lirhus about creativity and simplicity. Back then he said that he try to create something new every time he design. If it's not, it's not worth doing, he said. His latest design, a lamp called Kantarell, is another proof of this young mind's innovative thinking. The lamp is a three-piece lamp series, all sharing the same distinctive lighting effect. 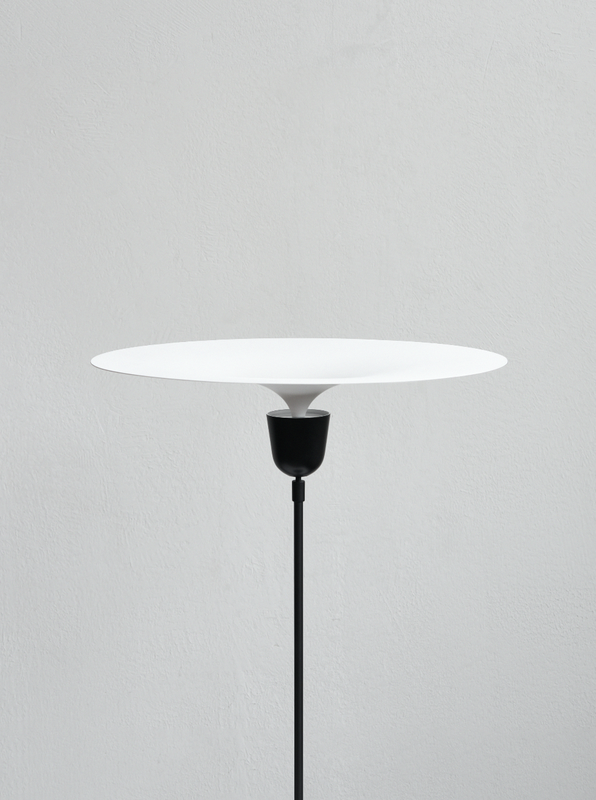 The reflector functions as an inverted funnel to spread the light outwards from the hidden light source in the center, creating a soft and ambient light. While the pendant is static, the head of the floor and side table lamp can be tilted in a 90 degree angle to change composition as well as direction of light. Kantarell was first shown as part of the exhibition Everything is Connected at Ventura Lambrate in Milan earlier this year.